Today I am to going to discuss the never-ending hot topic on the internet in car’s sound system ‘’Coaxial Speakers vs Component Speakers’’. Coaxial speakers are mostly the factory fitted speakers that have a woofer and tweeter joined in a 2-way configuration in it and they are also known as full range speakers. Component speakers are those whose parts like tweeter, woofer, and midbass drivers, etc are separate and is required for the production of a good quality sound when matched with the crossover to limit the frequency ranges. It’s a never-ending topic and many of the people are confused between them. Let me tell you that it all depends upon your choice but I will definitely tell you their comparison so that this article will guide you about these both speakers and you will be able to select any one of them without any confusion. 2.2 Installation: Which is easy to install? 2.4 Who has more powerful bass Coaxial or Component Speakers? 2.5 What about Price Tag? In this comparison chart, I have added all the major points that will help you understand the topic for today, that is Coaxial Speakers vs Component Speakers. So, this is the perfect chart that is for your benefit and you will now get a more accurate idea that which speaker are you looking for and which speaker should you have to buy for your car. The above chart clearly explains Coaxial Speakers vs Component Speakers. This perfect chart will help you not to spend much of your time puzzling between the selection of these two speakers and also read this whole article carefully so that you can understand all the things and difference between these speakers. So, if you guys are also fed up with your car’s sound system and are looking for the good speakers so that you can enjoy a good bass, quality and crispy sound than I will tell you people each and every single detail so stay tuned and carefully give this article a complete view. 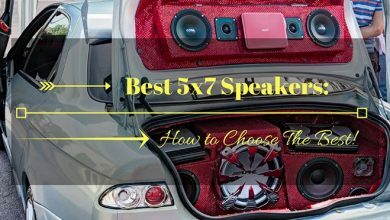 As you are still confused because of the variety in speakers than this article is surely going to help you as car speakers manufacturers produce different speakers to satisfy the diverse range of preferences of customers. This is not the thing that which speaker is good and which one is bad in these two speakers but it totally depends upon you that what kind of features and sound quality, you are demanding for your car speakers. 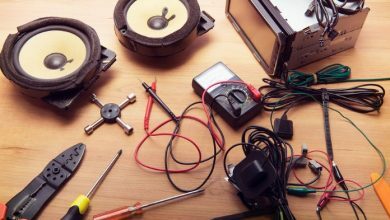 So let me tell you one thing that most of the cars have factory fitted coaxial speakers in them and some of the people are just satisfied with their factory fitted car speakers, but if you are the type of person that wants a good quality bass and perfection in your cars audio system than you can buy component speakers. But if you are not satisfied with your coaxial speakers and trying to change them or fitting other things with them for enhanced sound quality than you are doing a foolish act, in this case, you must buy component speakers but if you are okay with coaxial speakers than it is also fine. Let me tell you about the major differences in coaxial and component speakers. After all, both of the speakers have a high quality and both are designed to perform best as much as they can. Coaxial and component both of the speakers are highly durable and yes they both have something different in them which make anyone of it, the desired choice of the buyer. As for better sound quality is concerned, let me clear you that component speakers have a good and high-quality sound as compared to the coaxial speakers. You can enjoy a melodious sound that you will not find in the coaxial speakers. This is just because that component speakers are designed for high bass and have all its parts divided into components ( drivers ) as clear from its name. The separate drivers are the woofer, tweeter(s) and you can set them separately and also on different locations at your car for different frequencies across the spectrum. This will provide such a precise and powerful bass that your ears with love listening and all others sitting in a car found that sound worth listening as the tweeters and woofers are fit at different locations and sound is not directed to a single location to boom on a single person. This is such a marvelous experience as when you adjust them in your car, you too would not be able to stop yourself from praising the component speakers. 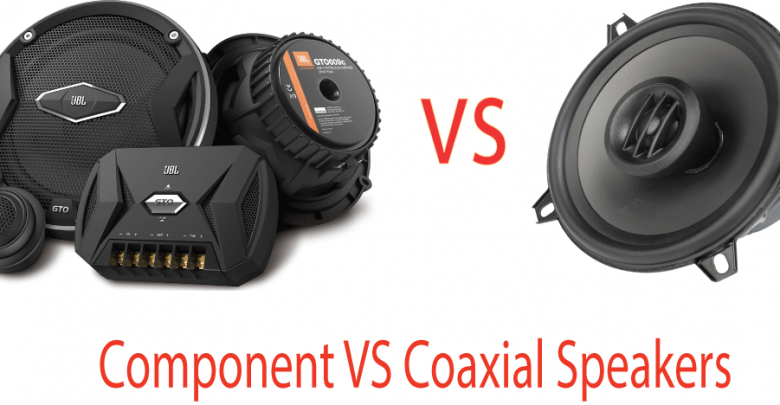 For this topic, Coaxial Speakers vs Component Speakers, I had to do a lot of research. While the coaxial speakers have not so much good sound quality as compared to component speakers because they handle all their frequencies in a spectrum and interference in those frequencies is definitely common here either you adjust them at any location in your car, if you fit the at the front, the sound will directly boom on your ears and you will found it quite disturbing and if you place it on back doors or any car’s back position, then the pinchy sound will annoy others sitting on the backseats of the car. But many people do not want to play the music or sound system of their cars and said that they are okay with their car’s sound system, so if you are that kind of person than fine, no need to do anything but if you are a music lover and want to play the audio system of your car. Definitely component speakers should be your first preference as in this world, who is not a music lover and definitely, everyone demands a quality sound, so you should go for component speakers in this case. Installation: Which is easy to install? When the discussion comes to speaker installation coaxial speakers are very much easy to install as compared to component speakers. As it has a compact system with no separate drivers, anyone can easily install coaxial speakers with greater ease, all you have to do is to take the proper tools for installation as just fit it, there is no need to do anything complex. If you want to fit the tweeter inside the woofer, then there is no issue and difficulty at all but it’s better to mount the drivers on the separate location for best high bass and frequencies and that’s what this speaker is known for. So for separate installation of these drivers, you should have the proper technical skills or by spending some money you can do this installation by a technician or an expert. If you want to make a customized sound system in your car, then you should go for component speakers and the modified design of this advanced speaker will let you do this customized settings as you can adjust its different drivers at different locations for best sound and perfect bass. Actually, it’s a trick for good sound to place the tweeters in front or on axis and woofer on the back side because woofer sound best from the back that means off-axis response. You guys have got an important and interesting trick from here. So, it’s a pretty much good option for customized settings than that of the coaxial speakers. While coaxial speakers do not give so much freedom to check out its performance after the installation as once you fit it properly and if sound is not that much good so there is just a frustration, it doesn’t have separate drivers to place on different locations and check out their performance, so coaxial speakers are not a good option in this case. So if you want a proper customization speaker and much better sound than component speakers are a better option for you people. As for as, the structure is concerned component speakers are new, having the advanced structure with separate drivers (components) for installation. Components speakers basically comprise of 2 tweeters, 2 subwoofers, and 2 crossovers. Also, they have additional drivers like super tweeters and midrange drivers (subwoofers). Actually, they all adjust the frequencies to generate a melodious sound like tweeters produce the high frequencies, woofers produce low frequencies and mid-range driver creates mid-frequency or you can say, they adjust the frequencies between those 2 extremes that creates an audible worth listening, quality sound. While the coaxial speakers, they have all the same kind of drivers as the component speakers have but they are combined together as to save the space and also called as full range speakers that produce a large range of frequencies from just a single unit. Coaxial speakers are 2 way or either 3-way configuration speakers that produce those large sound frequencies in a spectrum, but telling you the reality that their large frequencies frustrate the listening. Also, they are a single unit so if fixed any of the places, their frequencies get interference from the surrounding which keeps it away from producing the high-quality sound but its simple structure gets fitted in the car within no time. Who has more powerful bass Coaxial or Component Speakers? As you are clear from all the points above that, different separate drivers come with component speakers, this is the reason for its excellent bass. You can fit different drivers at different locations in your car as per your choice. While frankly speaking the truth that coaxial speakers are not good at bass production at all. If you want a high-quality sound and excellent bass, component speakers are the best option. As for as price is concerned, a good quality product always demands more. So, for the component speakers, you have to spend some more dollars. While coaxial speakers are cheap and most of the cars have already installed with the coaxial speakers, if your car doesn’t have it, you can buy these speakers in a budget-friendly amount but if money doesn’t matter for you or maybe matters but you want a good quality speakers for a lifetime, then you can select component speakers. I have explained you each and every detail about ‘’Coaxial speaker vs component speakers’’ as much as I can. Hope you people will found it very much helpful in the selection of the right speaker for your car. I have explained much and not ending with saying which one is best and which one is bad, you can easily pick one after reading this article carefully. Moreover, I have given a comparison chart between coaxial and component speakers for my dear readers for a quick pick between both of them. I also have the factory fitted coaxial speakers in my cars at first, but personally, I didn’t found them good and I am a music lover so bass matters for me a lot and a high-quality sound is everybody’s wish. I was also in search of the perfect speaker for my car so that can enjoy the music fantasy world and spending few more dollars I got the component speakers and installed the tweeters in the upper side of the car’s front door that was pointing toward me, and midrange drivers in the back. If just created a high-quality sound with perfect bass that I am loving very much. 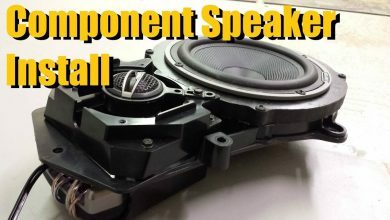 If you ask me about speakers selection then I will suggest component speakers to you but it completely depends on your speaker choice for your car. Finally, I will say that select the right one for you and by giving this article a complete view, you will get what you want. All the very best for your speaker selection, select the perfect one and enjoy the high-quality melodious sound.